Knuckleheads Trampoline Park is the only spot in Wisconsin Dells where you can get in on the high-flying trampoline action. 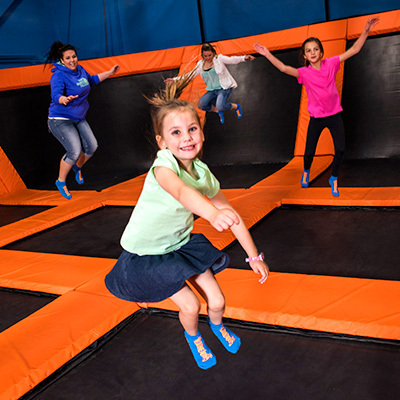 Our numerous jumping spaces let visitors of all ages, sizes and jumping abilities take flight. Summer: 10:00 a.m. – 11:00 p.m.
Mon. – Thu. : 11:00 a.m. – 10:00 p.m.
Fri. & Sat. : 10:00 a.m. – 11:00 p.m. Sun. : 10:00 a.m. – 10:00 p.m.